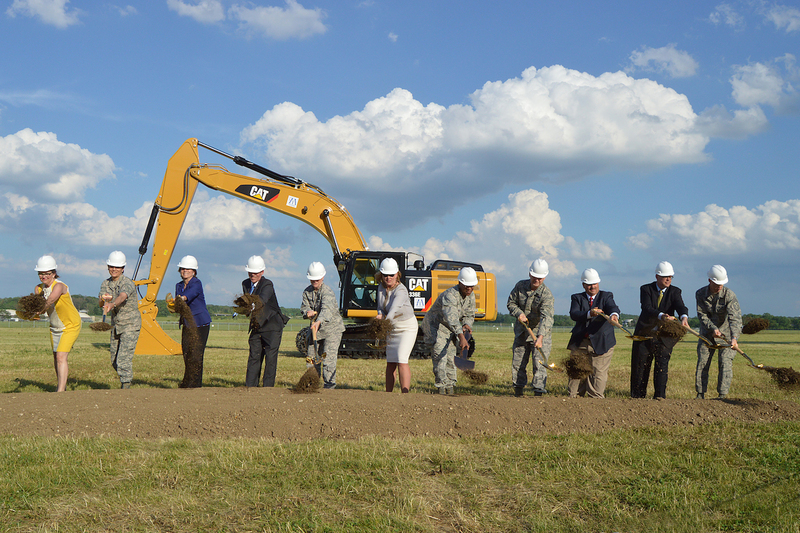 PRESS RELEASE-The National Museum of the U.S. Air Force broke ground today on a new $35.4 million building that will house aircraft from the museum’s Presidential, Research and Development (R&D) and Global Reach collection, as well as a new and expanded Space Gallery. The 224,000 square foot building, which is scheduled to open to the public in 2016, is being privately financed by the Air Force Museum Foundation, a non-profit organization chartered to assist in the development and expansion of the museum’s facilities. According to Secretary of the Air Force Deborah Lee James, the museum’s fourth building will provide increased public awareness of the Air Force mission by giving visitors greater access to our legacy of aircraft, missiles, cyber expertise and other elements of Air Force heritage. In December 2013, the U.S. Army Corps of Engineers, Louisville District, awarded the contract for the building to Turner Construction Co. of Washington, D.C. Since then a significant amount of planning and design work has taken place to meet the museum’s requirements for the fourth building, said Turner Construction Co. Vice President and General Manager Kyle E. Rooney. 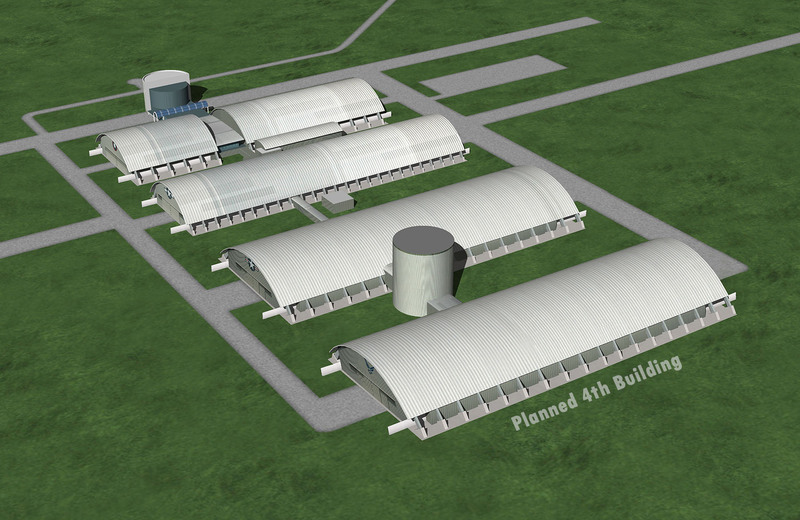 Although the construction phase is set to begin, the Air Force Museum Foundation will continue fundraising toward their campaign goal of $46 million, which would provide for further options such as theatrical lighting, a west tow path, and an additional café, as well as educational requirements including science, technology, engineering and mathematics (STEM) Learning Nodes and wireless capability in the building,” said Air Force Museum Foundation, Inc. Chairman Fran Duntz. 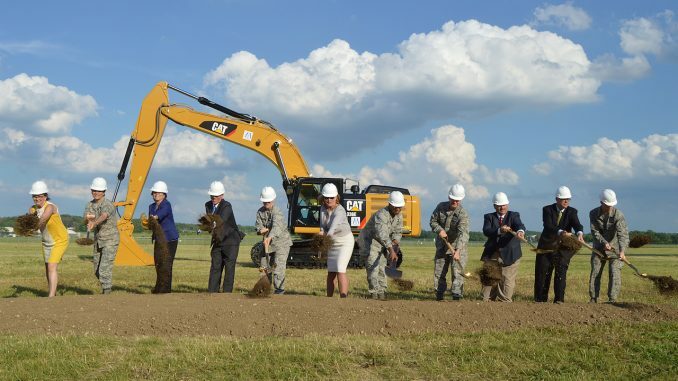 “We’re extremely pleased to assist the Air Force with financing for the fourth building, and we’re fully committed to achieving our campaign goal so that the entire potential of the fourth building can be realized,” said Duntz. The National Museum of the United States Air Force, located at Wright-Patterson Air Force Base near Dayton, Ohio, is the service’s national institution for preserving and presenting the Air Force story from the beginning of military flight to today’s war on terrorism. It is free to the public and features more than 360 aerospace vehicles and missiles and thousands of artifacts amid more than 17 acres of indoor exhibit space. Each year about one million visitors from around the world come to the museum. For more information, visit www.nationalmuseum.af.mil.